So, I recently had the opportunity to visit some of the sights of Marble Falls, TX where there has been interesting growth in this little hill country Texas town. Many people know the area around Marble Falls, including Horseshoe Bay, Deerhaven, Sunrise Beach, Cottonwood Shores, and some of the Colorado River man-made lakes including Lake Marble Falls, LBJ Lake, Inks Lake, Lake Buchanan, and Lake Travis. 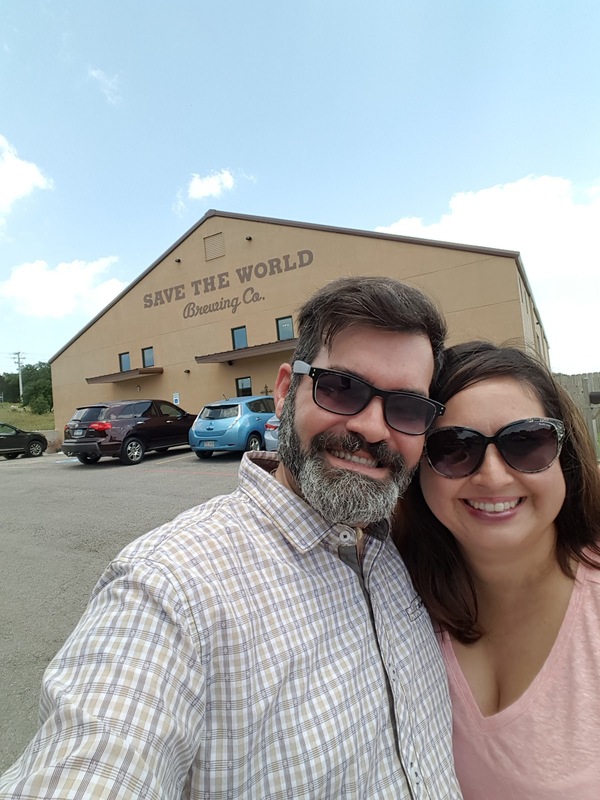 With that being said, I was able to take some time on the Memorial Day weekend with my wife to experience one of the interesting breweries in the area, Save the World Brewing Company. This little brewing company started with the idea that all proceeds would go towards local charities and host a non-profit idea. Started by two physicians, Dave and Quynh Rathkamp, from Austin who wanted to see a change in the world and saw the opportunity through craft beer, and started a purely philanthropic brewing company. This idea lead to Save the World Brewing Company located on the North side of Marble Falls, they even tout some excellent beers that have everyone lining up to try. They are truly looking to enhance the area and give back to the community and are #doingitDenton even out in the beautiful Texas Hill country. I had a flight of the Celebration Ales with my wife of the more interesting ones that included Princeps Pacis (Prince of Peace), Sol Hominis (Sun of Man), Celestis Thesauri (Heavenly Treasures), Bonus Pastor (The Good Shephard), Sanguis (The Blood), and Verbum in Tenebris (Word in the Darkness). 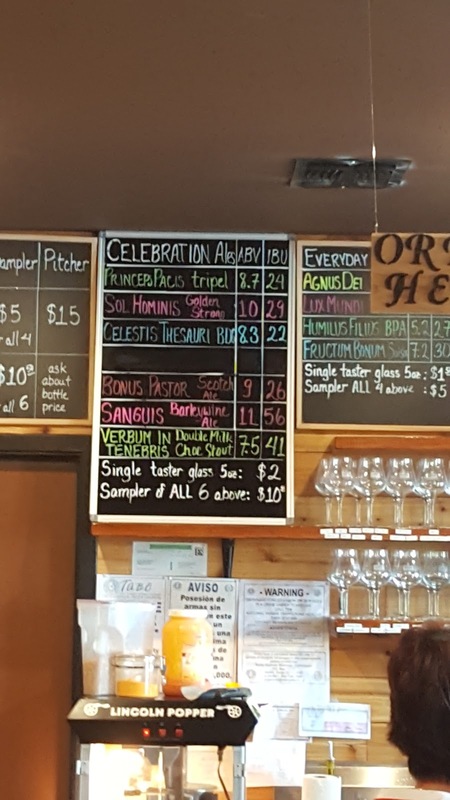 Some of you Bible scholars might notice the Latin influences of naming their beers, and they do focus on Christian influences as they were missionaries as well. The Princeps Pacis is a light fruity yet spiced toned beer that goes down easy and has a great flavor (one of the wife’s favorites), Sol Hominis has more floral tones with a crisp finish, Celestis Thesauri was a farmhouse inspired ale (my pick of the day), Bonus Pastor is a Scotch Ale that puts a spin on the “wee heavy” ales is a good one (it was a warm day and would have been great on a cool fall day), rounding out with the Sanguis barleywine that is great for some of you who are wine drinkers looking for a touch in the beer world, and then finaly the Vebum in Tenebris a milk stout that has hints of chocolate and mint (one of my other favorites). As I was talking with some of the helpful ladies and Quynh, they recommend doing a flight, finding one that you like, and then getting a glass. Now they actually give you the glass and you can bring it back for discount refills, so DON’T LOOSE THE GLASS! 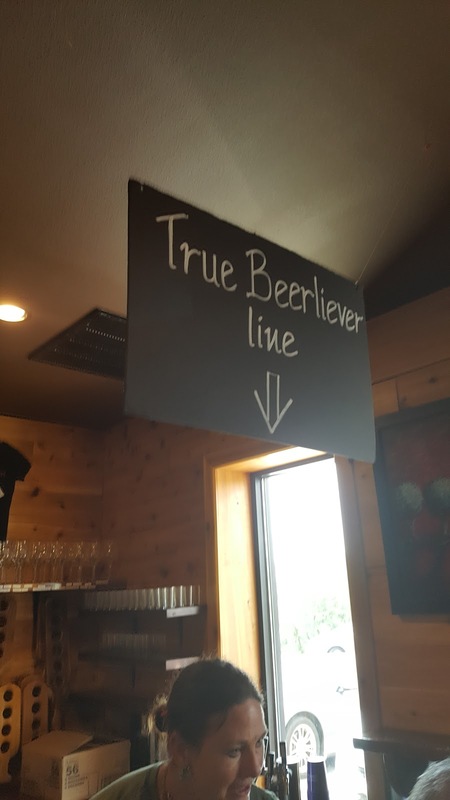 They do have a line especially for their beer club they name as the True Beerleivers which gets you a shirt, glass to keep in the brewery when you come back, free pours, and some special event notices as well in their newsletter. This brewery is doing it right and has a great tone of relaxing wine country feel and will keep people coming back. 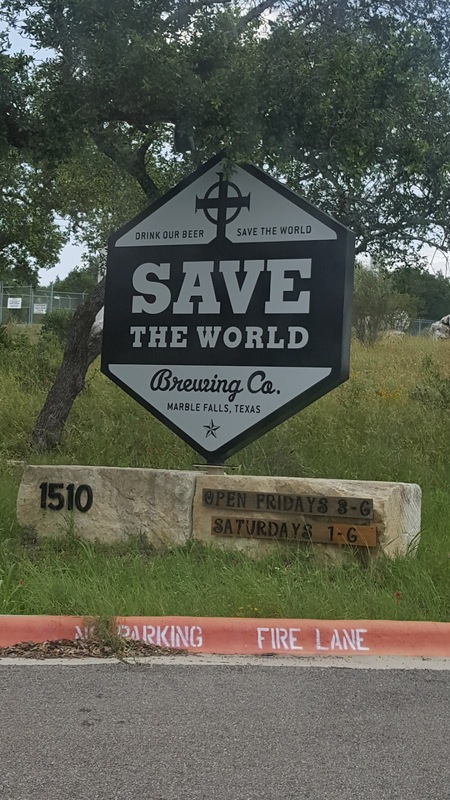 So, when you are roaming around the Austin and hill country area of Texas and need that break from the busy nature of the city, looking for a new relaxing piece of Texas, go check out Save the World Brewing Company.